Level Of Ease: Easy - ideal for beginners. All chords are easy to play with F and B7 needing a little more attention... you'll enjoy this one. Tempo: approx 56 bpm (♩.) This means that each beat is counted as a dotted quarter-note/crotchet which is equivalent to 3 eighth/quaver notes for each beat. If we set the tempo for every eighth-note/quaver, it would be racing along at 168 bpm's (3x56) which would be extremely off-putting and not in keeping with the style of song. The 2 bar intro becomes easier if you count the tempo as above, with one count for every 3 quavers. The 12/8 count is actually | 1&& 2&& 3&& 4&& | You can simply count it as | 1 2 3 4 | keeping in mind each beat is equal to 3 eighth-notes/quavers. If you are finger-picking, listen carefully to the harp especially in the intro and at the end of the song. You will hear the picking on every eighth-note/quaver beat... follow this closely and do the same if you are finger-picking. In the Intro, count every eighth-note/quaver as 1 pick, so it would look and play like this |CCC CCC CCC FFF | CCC CCC CCC FFF | - The same 2 bars are played at the end of the song. The simile mark / means you repeat the previous chord or note in the bar, therefore | C / / F | means 3 beats on C major and 1 beat on F major. You will notice timing changes especially towards the end of the song. If you are playing alone, it can be a little off-putting, but stick with it. These are the sorts of things that add to your ability as a musician and help you to broaden your horizons, not only in your playing style, but also in your musical appreciation. This is an excellent arrangement. Notice how the orchestra and choir create an intense 'feel' and mood... along with the superb voices of Celtic Woman. 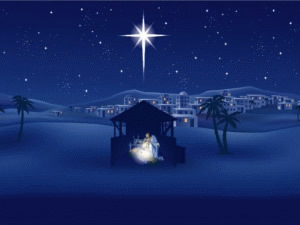 "O Holy Night" chords and lyrics are provided for educational purposes and personal use only.